Joan Duran-Porta (Ph.D., Universitat Autònoma de Barcelona, 2016) has a degree with honors in Art History at the Universitat Autònoma de Barcelona (2003). 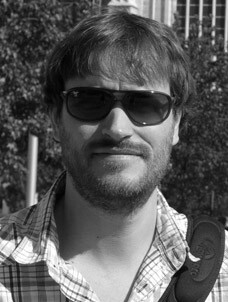 He received an FI grant from the Generalitat de Catalunya (2004-2007), and reached an MA in Art History in 2006. He has also a degree in Journalism from the same Universitat Autònoma de Barcelona (1997). He worked as an assistant curator in the Romanesque Department at the Museu Nacional d’Art de Catalunya (MNAC) in 2007-2011, being involved in several exhibition projects such as El romànic i la mediterrània, Catalunya, Toulouse i Pisa, 1120-1180 (Barcelona, 2008), and El esplendor del románico, Obras maestras del Museu Nacional d’Art de Catalunya (Madrid, 2011). He was also assistant to the remodelling of Museum’s romanesque halls (2011). He taught at the Art Department of the Universitat Autònoma de Barcelona, as grant holder (2004-2007) and as associate professor (2008-2009). He obtained his PhD on Catalan goldsmithery of the 11th and 12th centuries, specially focused in the MNAC’s collection. His main research field is medieval metalwork, both Romanesque and Gothic. In this field, he has co-edited the book Bella i solemne, La creu gòtica dels Sants Màrtirs de Cardona i el seu temps (2010). His secondary research interest is First Romanesque architecture, to which he has dedicated several papers. He has published in national and international journals (Locus Amoenus, Anales de Historia del Arte, Cahiers de Saint-Michel de Cuxa, Arte Lombarda), and has contributed to several exhibition catalogues and books on the MNAC’s Romanesque and Gothic collections. Joan Duran-Porta is also part of the new GRUP DE RECERCA (GdR) [research group] MAGISTRI CATALONIAE, of the Universitat Autònoma de Barcelona, in association with the Departament d’Art i Musicologia (UAB). DURAN-PORTA, J., “Orfebreria”, L’art gòtic a les col·leccions del MNAC, Barcelona, 2011, p. 208-217 (editions in English, French and Spanish).